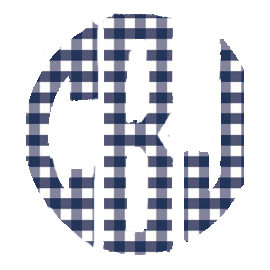 As it is starting to cool down in Charlotte, I thought I would share my top 5 clothing items for fall. I probably wear at least 1 of these items in any typical outfit from October to December. These are all from last year or years prior, but there are lots of very similar options that are currently available! Living in North Carolina, I don't bring my full coats out until at least November. 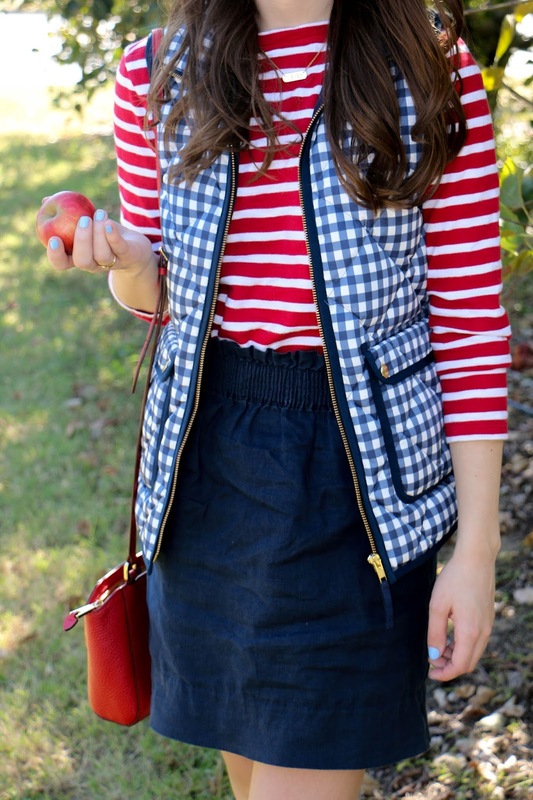 These vests are great for when it's just a little too cold to not wear a jacket. And the fun printed ones can add so much to an outfit! This is also a favorite for early spring, I found my favorite one from Asos about 2 years ago. It has always been to my go-to for work on chilly mornings. I wear these for just about every casual occasion in the fall, and most of the winter as well. And as a size 5.5, Sole Society is my favorite place to shop for them! I think a pair of flat black OTK boots go with just about anything for fall and winter. 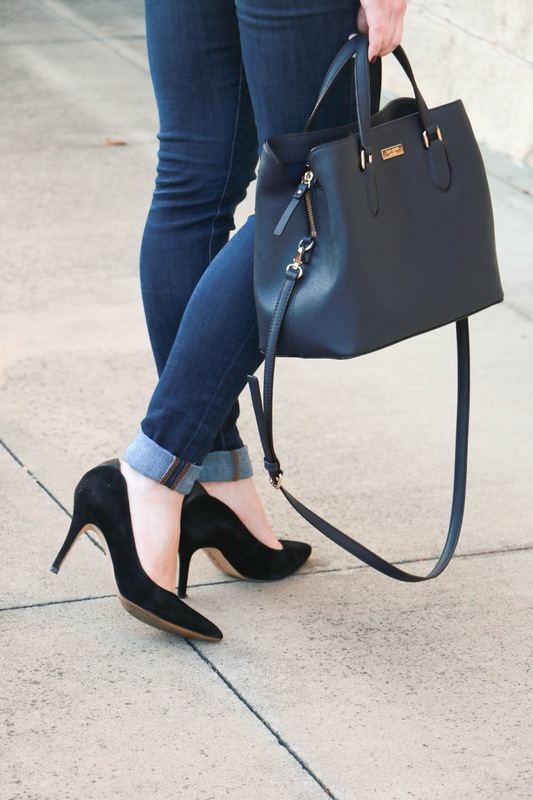 And I also love to have a heeled pair in navy like these! These are also a favorite for winter and spring as well. My favorite pairs that I have had for a few years are from J Brand and J. Crew.